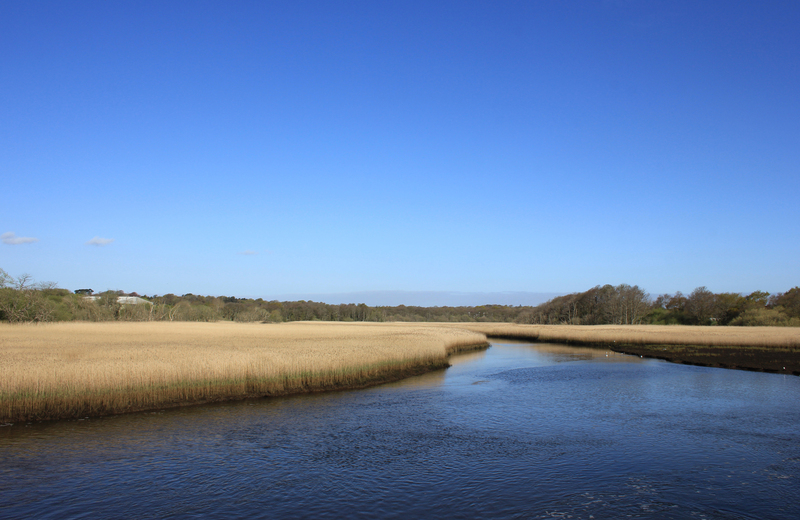 Lymington River looked spectacular this morning. Wow! To the south east of the town is a large marina. It went on and on for some two thirds of a mile in an endless clang of ropes slapping against masts. Just beyond the marina, however, it became much quieter. 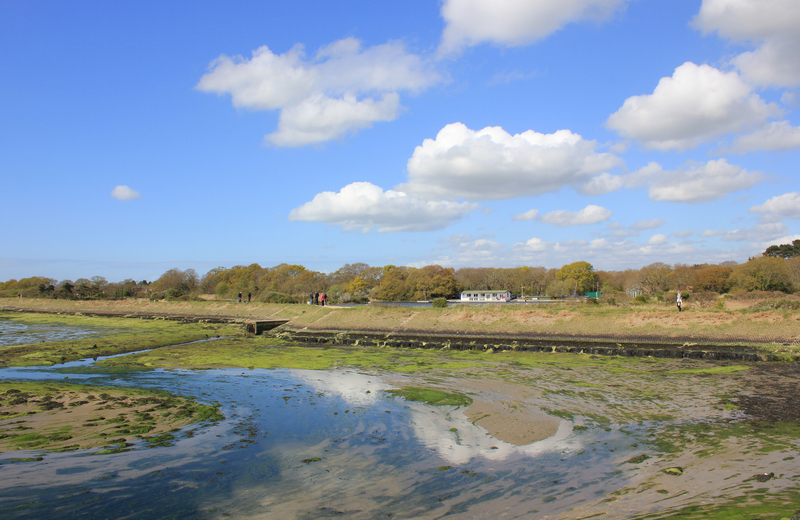 We entered the Salterns Nature Reserve and the Lymington and Keyhaven Marshes. The entire area used to be the site of old saltworkings which existed from Roman times. These workings stretched all the way down to Hurst Castle, over 3 miles away, and were once the largest area of salt works in the country. 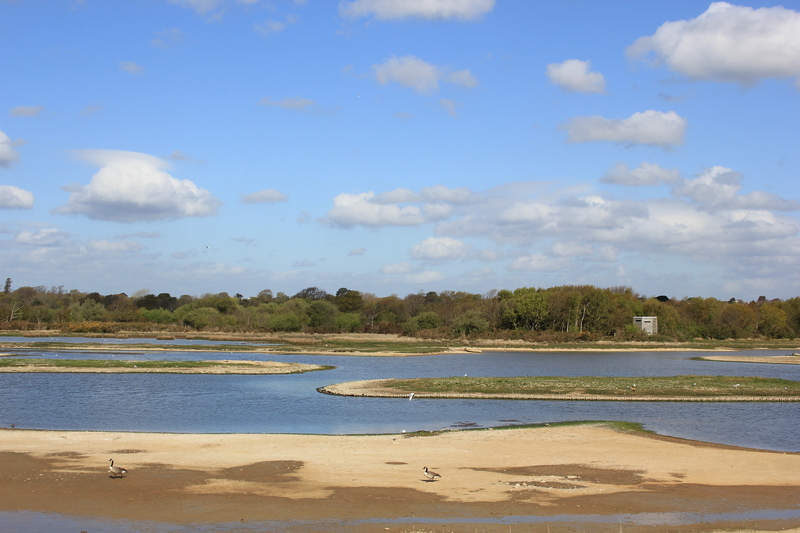 Shallow lagoons called salterns were used to hold sea water to start the evaporation process. This reduced to a briny solution which was then put into pans and heated until only the sea salt remained. Although they lasted for some 2,000 years, the saltworkings here eventually fell into decline due to the popularity of cheaper rock salt from Cheshire. By 1865 they had disappeared. Still, we found that lagoons here still served a good purpose for some local inhabitants. And as the lagoons continued to bake in the sun, they provided a glaze of glorious green across the spring landscape. Beautiful! This entry was posted in Hampshire and tagged coast, gull, Hampshire, Keyhaven, Lymington, marshes, salterns, saltings, travel, walking. Bookmark the permalink. Oh, and I meant to say: that’s a fantastic photo of the gull diving. Perfect timing. Thanks Ruth! 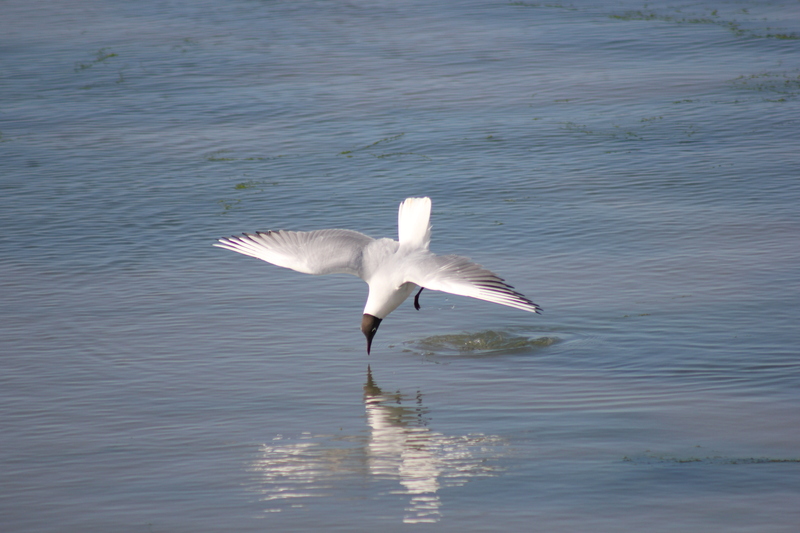 I had the camera on continuous shooting in order to try to get a good shot, but I was quite pleased to capture that angle of dive – the gull almost looks like it’s inspecting itself in the mirror!